Tired of the same old salad dressing? 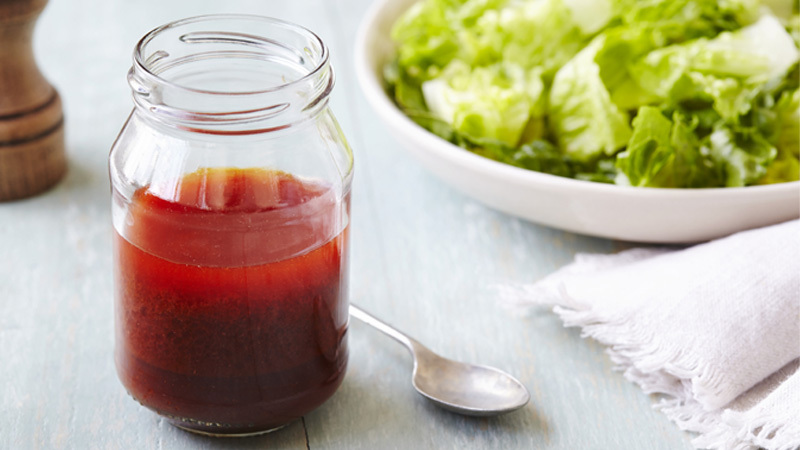 Try this simple dressing that will give any veggie a flavour boost! 1. Pour all the ingredients into a container with a tight fitting lid. Shake until combined. Sunny Romaine Salad: Place bite-size pieces of romaine lettuce on plates. Top with chopped tomato, crumbled feta cheese and sliced olives. Drizzle with vinaigrette. Summery Corn Salad: Toss sweetcorn, black beans, finely chopped red onion and chopped coriander leaves with vinaigrette. If desired, refrigerate at least 1 hour to blend flavours.